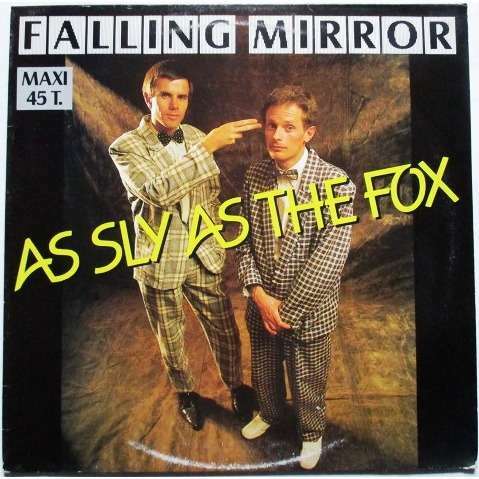 Living in the shadows of ‘Johnny Calls The Chemist’, ‘As Sly As The Fox’, which was also released as a single, was perhaps not quite as quirky as the title track from the album from which it came and did not enjoy the popularity of the former. The album was something of a concept album, in which Johnny’s life is taken apart and examined. ‘As Sly As The Fox’ is a darker tune than the title track, feeling slightly sinister and reflecting the murky world in which Johnny lived. Neilen Marais’ somewhat psychotic vocals are at their creepy best while an ominous synth does battle with a rat-a-tat-tat drumming that at times sounds like gunshots. The Fox in question is the Chemist whom Johnny has a crush/obsession with as the lyrics compare her to a fox. ‘As sly as the fox/that’s caught in the box/she hides behind the counter’. Guitar fans won’t be disappointed as Alan Faull is allowed his 15 second of fame as he cranks up the edginess of the song with some eerily wailing licks. The overall effect is a dark and mysterious song which has a disturbing feel all done in the most intriguing way. The only thing it leaves one asking is what the hell does the line in the song mean when they sing ‘It’s almost as if they’ve drunk astronaut wine’?